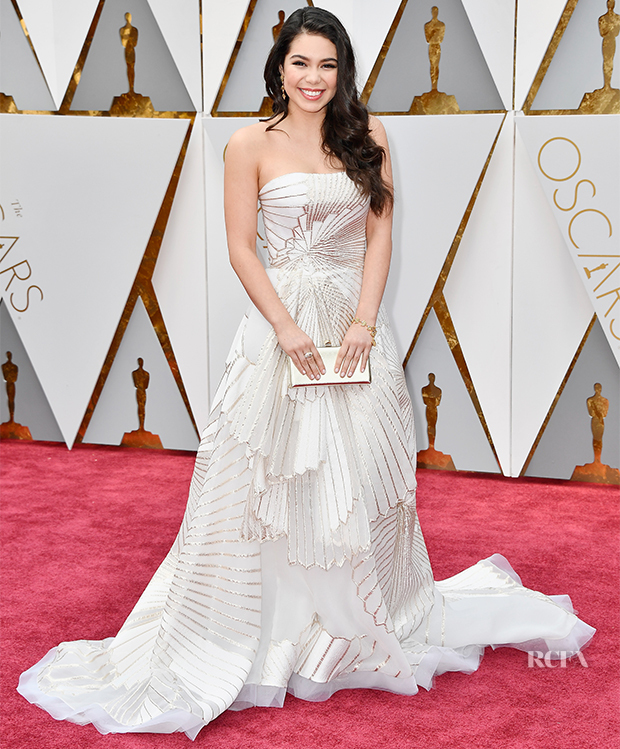 Actress Auli’i Cravalho attended the 2017 Oscars on Sunday night (February 26). The ‘Moana’ actress wore an art deco inspired Rubin Singer Pre-Fall 2017 gown with a white box clutch and gold and diamond jewels. As a first-timer at the Oscars, Auli’i totally knocked it out of the park for me. 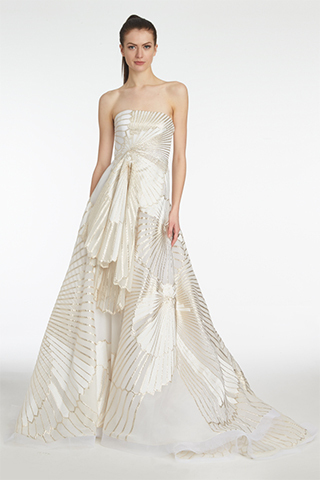 At just 16-year-old, the gown is fittingly elegant for the occasion, but also youthful and fun with it’s structural detailing. Her long, soft curls, and fresh makeup and mani complete a wonderful first turn on the biggest red carpet in Hollywood.